John Halligan talks to schools about the death of his son, Ryan Halligan and the effects of Bullying - Click here for more video clips from other sources. 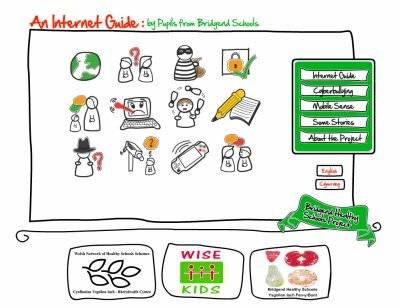 Between March 2009 and July 2009, WISE KIDS, in partnership with Bridgend Healthy Schools, undertook a series of workshops with Year 7 pupils from 10 mainstream secondary Schools in Bridgend. The aims of the sessions were to promote Internet literacy and safer Internet habits. As a follow on from the face-to face workshop, 12 pupils from two English and Welsh speaking schools were invited to work together to create Internet safety stories and messages for other young people (their peers).